The world's famous valley billing is the start of Indian open paragliding chmapionship 2018.Participating 120 plot of different country in this chmapionship.The event, which begins from 28th October to 3rd November, will begin on Sunday 28 October by helth minister Vipan Singh Parmar at 9:30 am. In this championship, 177 pilots of 20 annotations had to make online appointments, but 120 of these pilots were selected for the part paragliding championship. Take off: 32°3'35" (32.0598)N; 76°44'40" (76.7445)E - height : 2428 m.
Landing : 32°2'32" (32.0423)N; 76°42'30" (76.7084)E - height: 1410 m.
In the Indian Open championship of Paragliding, New Zealand's Louise has been the winner of the competition with 2878 points. India's Daewu Chaudhary secured second with 2873 points and New Zealand's Matt Sr. stood third with 2805 points. The Russian pilots have occupied the first three places in the women's category. In it, Versonika with 676 points first, with 658 points, Elena is second and 646 points, Annena is in third position. 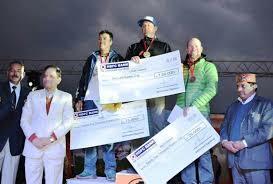 Among Indian paraglider pilots, Devu Chaudhary was first, Arvind Pal II and Gautam Nath remained third. In the sports category, US Astin Caucus, Russia's Elixie Sarji and Sushant Thakur are honored. 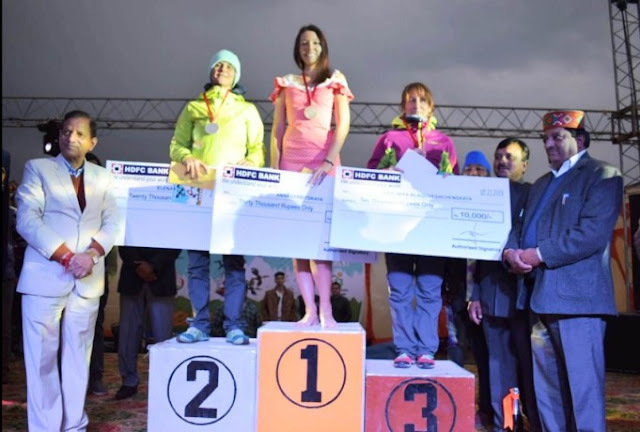 On the closing of the Indian Open Paragliding Championship, Food Supply Minister Kishen Kapoor was the chief guest. He honored the winners. In the men's category of the championship, Overall champions were awarded one lakh, 75 thousand for second place and 25 thousand rupees for the third position. Thirty, twenty and ten thousand rupees were given for the female category. The paragliding championship was done with the joint venture of Sada and State Tourism Department. Meanwhile, MLAs of Baijnath MLA Malkharaj Lover, Ravi Dhiman, Arjun Thakur, former MLA Duloram, Trilok Kapoor, Vinay Sharma, DC Sandeep Kumar, CP Verma, Madhu Chaudhary, SDM Vikas Shukla, VS Yadav, VS Thakur, Aman Siphia and Karna Jhamwal are present. are. 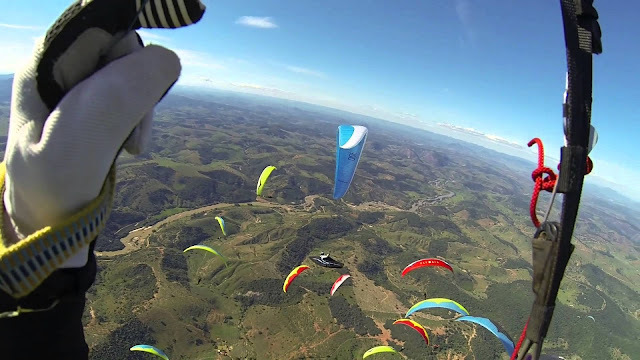 In the famous Billing Valley for Paragliding, the Indian Open Paragliding Cup 2018 category 2 competition, the fourth day of Pilot showed Acrobatics in the air.The fourth day 72.02 km task was decided. The 3rd task was taken by the 93 pilot and all the pilots secured land.Russia trieguvar to get the number 991 and stay in first place.Russia Aleg Genderto get the number 986 and stay in second place.While NewZealand Luis Taper, who gained the first breakthrough in the last two tasks, secured third place with 966. In the Overall Tasks of three days, New Zealand's Luis Taper took the number 2291 in the first place.indian paragliding pilot Devu Chaudhary stayed in the second position with number 2214. Sir how far billing from Delhi ? How can I reach over there ?